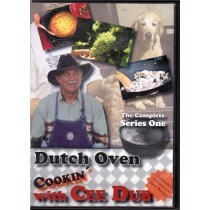 This two DVD set features thirteen complete episodes of Cee Dub’s television series, Dutch Oven Cookin With Cee Dub, and a “Cookbooklet” of all the recipes from the series. 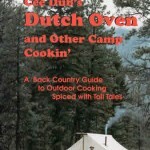 Watch Cee Dub as he prepares gourmet Dutch oven meals at the Columbia Crest Winery, gets ready for a tailgate party, and demonstrates cooking mouth watering Dutch oven meals poolside in the backyard, and on the patio. 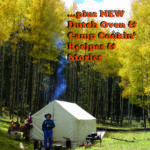 In these two DVD’s Cee Dub demonstrates the versatility of cast iron and aluminum Dutch ovens and dispels the myth that Dutch ovens are only for camp cooking. 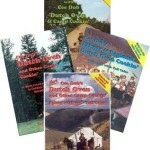 Cee Dub’s presentation is as entertaining as it is educational.